Creating a Thorium Grand Plan has been one of the major, ongoing projects of the Energy from Thorium discussion section. At the moment that plan is far from complete, and perhaps the most significant reason why this is the case is that participants in the discussion, including myself, have not yet asked the questions to which the plan must provide answers. In order to do that, we need to cast the creation of the plan into a top down mode, beginning with plan goals, and then proceeding to identifying critical steps that would have to be taken in order to implement the plan goals. the burning of fossil fuels has a negative impact on human health, and fossil fuel pollution cost advanced societies tens if not hundreds of billions of dollars in health related expenses. These expense and the suffering which fossil fuel pollution related illnesses impose on their victims are part of the hidden cost of the fossil fuel economy, cost which are not born by the free market. the United States cannot afford to go on importing oil at its current cost. To do so would bring utter ruin to the American economy. Energy for the american economy must be found in local resources. Furthermore both renewable energy systems and energy systems based on conventional nuclear technology are far to expensive to be affordable within the expected time range for peak oil, a phenomena that will assuredly bring a drastic increase in the price of imported oil. It isnot clear when worlkd coal production may peak, but some authorities regard coal reserve figures as overstated, and that peak coal may be in the offing within the near future. the threat of of Anthropogenic Global Warming , tied to the burning of fossil fuels cannot be discounted. Scientific studies of the long term consequences of AGW point to issues that are rightly matters of serious concern, and could lead to significant, large scale and wide spread property damage, adversely impacting the economies of many countries. In addition to property damage AGW could lead to significant population displacement, through sea level rises, that could submerge many costal areas within the coming centuries, In addition, increasing desertification of many already arid areas, a phenomena anticipated by many climate models, could lead to a loss of water resources that make habitability of areas like Arizona, Nevada, and Southern California possible. Even if this threat is more unlikely than many scientists believe it is, it should not be disregarded. Indeed i personally believe that scientists have made a very compelling case that AGW is a reality that should not be ignored. I set out the health and economic reasons for fossil fuel replacement. These reasons are universal and potentially effect everyone on earth. In addition to the reasons i have outlined, the ending of world wide poverty would require new and massive energy resources that can be deployed world wide. Thus the goal of of the Grand Thorium Plan can and should be nothing less than the the reduction of world wide use of fossil fuels by as much as 80% to be accomplished by 2050, and the deployment of enough safe, non-polluting, sustainable and reliable energy sources that everyone in the world will have access to levels of energy now enjoyed in Western Europe. The Grand Thorium plan ought to be designed to assure that meetings these goals are a realistic possibility, through the use of thorium resources and through the implementation of advanced thorium energy technology. I realize that this is ann extremely ambitious undertaking, but I believe that these goals can be accomplished, provided that the implementation is guided by a radical shift of thinking to what I call the LFTR paradigm. In the rest of this essay i want to focus on one problem that must be overcome if the full promise of the LFTR paradigm is to be realized. That is finding enough fissionable materials to quickly start a large number of LFTRs over a relatively short period of time. Although a well designed LFTR will create slightly more fissionable U-233 than it burns, the surplus will in no way allow for a rapid increase of new LFTRs, once the stock of available fissionable materials is exhausted. The available stock of fissionable materials would include the plutonium in post reactor Light Water Reactor fuel, stockpiled Pu-239 and U-235, that is surplus to current weapons requirements, and the possibile draw down of nuclear weapons to provide further fissionable material for reactor startup. In addition further U-235 resources are available. The Uranium in post-reactor fuel could be re-enriched, possibly using laser enrichment technology. In addition, old uranium mine tailings can be reprocessed for further uranium, and phosphate mine tailings can be processed in order to recover both uranium and thorium. Finally, so called "depleted uranium" still contains a significant amount of U-235. Reprocessing depleted uranium in order to obtain enriched U-235 has a positive EROEI, and would not require new uranium mining. Furthermore, enough thorium is already above ground in the form of mine tailings that no thorium dedicated mining need be undertaken for several thousand years. Thus energy supplies would be assured for a period far longer that the fossil fuel era, and no environmental impact from mining. Further more, the sacrifice of large amounts of bomb grade nuclear materials to start LFTRs would decrease thew likelihood of nuclear war. A major choice in reactor design, is the need to limit the start charge of each reactor as much as possible, in order to start as many reactors as possible within economic limits. Reactor scientist are aware that the use of graphite or heavy water moderators decreases the amount and concentration of fissionable materials needed to start a chain reaction. French thinking about LFTR design - they call it the Thorium Molten Salt Reactor - advocates the use of unmoderated LFTRs. This would require a large start up charge, but the French probably have a large amount of reactor grade plutonium from their own nuclear waste that they would like to dispose of. For American deployment, as well as deployment in China, India, and the rest of Europe, the need to economize on the amount of fissionable material used in the start up charge, would require a moderated reactor design, even if the use of a graphite moderator leads to design compromises. The rapid deployment requirement in order to meet projected goals necessitate factory manufacture of LFTRs. This in turn would allow an increase in labor productivity. For example current LWRs require about one man hour of labor for ever 100 Watts of installed generating capacity. A goal for factory manufactured LFTRs might be one man hour of labor for every thousand watts of installed generating capacity. Such productivity shifts would be possible together with an significant improvement in quality with the extensive use of automated production equipment. The design of a commercial LFTR should be undertaken with rapid, economical, and mistake free manufacture in mind, rather than production becoming an afterthought. I have argued then that extremely ambitious goals for the Thorium Grand Plan should be set. These goals should include at least an 80% reduction of fossil fuel use by 2050, simply through the massive deployment of LFTR technology, and the ending of human energy poverty by 2100. While these goals may seem incredible and even insane, they are actually quite plausible within the LFTR paradigm. The shift from fossil fuels to a thorium based energy economy is whole consistent with improved human health, energy independence for many countries including the United States, and with a greatly diminished environmental impact compared to both fossil fuel and renewable generating systems. The decreased environmental impact would include an at least 80% world wide reduction in the use of fossil fuels by 2050. The whole scheme would not be impossibly expensive and would be sustainable for millions of years, if the future human population of the world chose to continue using it. 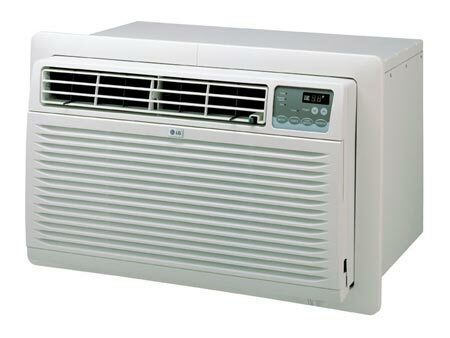 In such a future everyone can have air conditioning without guilt and at a reasonable energy cost. The Thorium Grand Plan will be most successful if the economics are better than fossil fuels. One hundred years ago, oil became an important fuel because it was inexpensive and easy to use, not because coal had become prohibitive in cost. If thorium power can be made cheaper than coal power, then stockholders and customers of electric utilities will demand thorium power. The replacement of coal-fired boilers with thorium-fired boilers in existing plants would minimize cost (even if it would not be the most efficient thermodynamics). This would be the base for the Thorium Grand Plan. Expansion into other areas would start from this base. In a free society, it is economics that will drive the transition from one source of energy to another. Government can help, especially by removing roadblocks to the entry of the new energy source. But simply issuing mandates for change will be less successful. Current nuclear power plants are already producing electricity cheaper than coal. The problem with nuclear power in the US is largely political-- not economic. That doesn't mean that the capital cost of a new nuclear facility isn't very high. But it does mean that a lot of that higher capital cost is largely due to the politics of nuclear energy especially when it comes to the extremely expensive delays in getting permits and delays in construction due to suits from anti-nuclear environmentalist and their allies. In some states, like California, there are outright bands on the expansion of nuclear power because of the politics of nuclear waste. Its up to the new administration to resolve the political issues surrounding the expansion of nuclear power in this country so that we can get on with the business of saving the US and the planet from an environmental and economic disaster. There are actually a number of states that ban nuclear power, like Missouri, Kentucky and Wisconsin. Times are changing and hopefully these bans will be phased out. ALL of them are crafted around the issue of 'waste'. "If thorium power can be made cheaper than coal power, then stockholders and customers of electric utilities will demand thorium power." There are some suspect assumptions in this. That utilities aren't state monopolies operating on a cost-plus pricing model with no incentive for efficiency or driving down cost. That the general public or big electricity consumers understand the potential of LFTRs and ignore the more or less overt threat to run up the cost in any way they can by the anti-nukes. That the cost of demanding thorium reactors is tolerable. If big electric users(e.g. aluminium smelters) and utilities get the go ahead provided they fund much or all of the development themselves the development effort could potentially be drawn out for decades with red-tape, political shennanigans and other exogenous influences without any guarantee of being allowed to build LFTRs when development has finished. The only way I can see to avoid the potential for such sabotage is if you can get significant support from the general public to make it politically suicidal to throw a wrench in the works without a very good reason. Can you briefly explain me which are the main differences between moderated and un-moderated MSR version? "There are actually a number of states that ban nuclear power, like Missouri, Kentucky and Wisconsin."